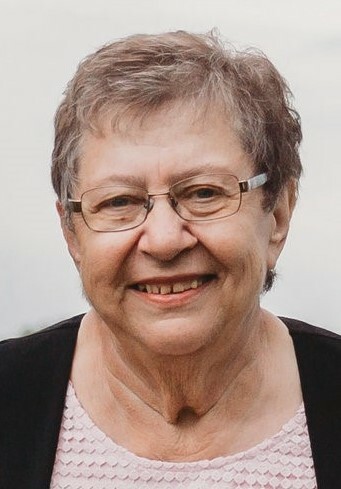 After a courageous 4 ½ year battle with cancer, Mom passed away at home on January 4, 2019 at the age of 73, with her daughters by her side. Mom was born on April 28, 1945 at Hudson Bay Junction to William and Nellie Dutchak. She had one older sister, Deanna. She grew up on a farm south of Hudson Bay. She graduated from Hudson Bay High School. Mom and Dad were married on October 12, 1963. They were blessed with three children; Troy in 1964, Lori in 1966 and Sandra in 1970. Mom enjoyed going for coffee and meeting up with friends. Many Fridays were spent at the Old Central for wing night. She enjoyed gardening, planting flowers and feeding the birds. In the spring she would be looking for mushrooms and scouting out the Saskatoon patches in the summer. Her grandchildren brought her more joy than she could imagine. The teasing and laughter will always be remembered. She was proud to say she also had four great-grandchildren. Mom belonged to the Hospital Auxiliary. She loved her time spent at the Golden Jets playing whist. Monday nights you could find her at the Legion playing cribbage. Mom is predeceased by her husband David (1999) and son Troy (2012), parents William and Nellie Dutchak; brother-in-law John Kowalko; mother and father-in-law Catherine and Joseph Morin; and nephew Gregory Morin. Mom will be lovingly remembered by her family Lori (Greg Schentag); Sandra (Kurt Carlson); Christine Checkley-Morin; her eight grandchildren, Kelyn, Rylan, Koltyn, Rhett, Alexander, Hayley, Ty and Jacob; four great-grandchildren, Veronica, Scarlet, Emmett and Benson; her sister Deanna, nieces, nephews and in-laws.